Lonzo (Alonzo Williams), Andre Young (Dr. Dre), Marquette Hawkins (Cli-N-Tel), DJ Yella (Antoine Carraby), Barry Severe (Shakespeare), Mona Lisa Young, Michelle Toussaint (Michel'le). 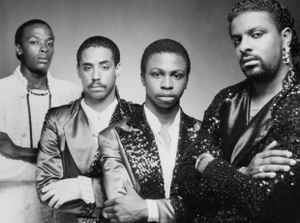 The group was originally formed by a Compton club owner Alonzo Williams as a mobile DJ crew for several years and it wasn't until 1983 that they decided to record music. In 1984 the group debuted on Lonzo's Kru-Cut record label releasing the single "Surgery" followed by "Juice". Both records proved to become local electro-rap favorites selling many units on the west coast. The following year the group put out their first album World Class. The group's dancer, Shakespeare, later replaced Cli-N-Tel as they signed to Epic Records releasing a string of singles and their second album Rapped In Romance. The Wreckin' Cru enlisted aspiring rapper Ice Cube to help as a ghostwriter for the "House Calls / Cabbage Patch" single in 1987. Shortly before disbanding over financial problems, the slow jam record "Before You Turn Off The Lights" (which featured Michel'le) became a big hit all across the country's urban and pop charts by early 1988. Dr. Dre and DJ Yella later continued producing music with N.W.A. while Shakespeare later pursued a position as a pastor. Michel'le married Dr. Dre and released an album on Ruthless Records. Lonzo attempted to play off the big success of the group's last single by reassembling a new World Class Wreckin' Cru and releasing the album Turn Off The Lights In The Fast Lane in 1988.